You can purchase some merchandise directly from the Anvil Metal Pounders Union merch store or the Anvil! The Story Of Anvil merch store. Make payment (certified cheque, money order or Western Union) out to R&R Enterprises. Please be sure that you use an international money order if you are sending it from outside Canada. Payments are to be sent to the above address. New Shirt designs are always available. Contact Robb Reiner (see above) for information. 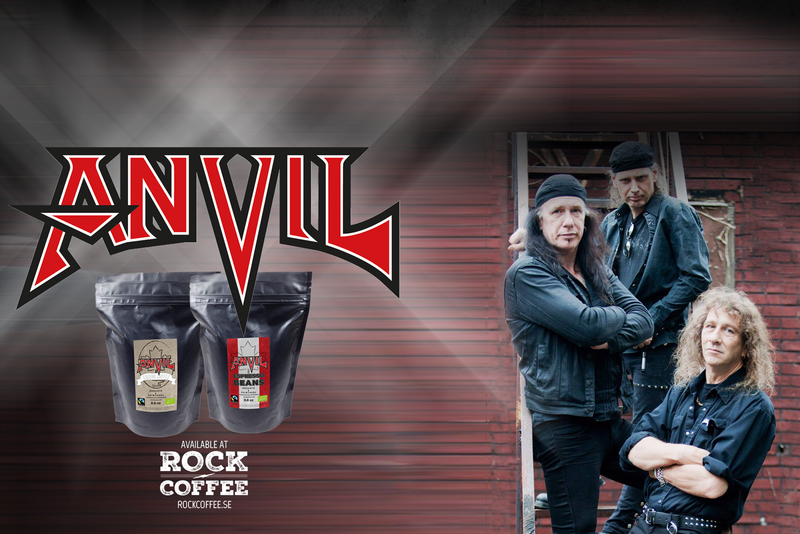 You can now order ANVIL coffee from Rock Coffee. You have a choice of ground coffee or espresso beans.